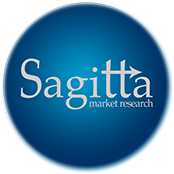 Sagitta Market Research Ltd has an experienced team of highly skilled interviewers and recruiters covering the length and breadth of the UK. Working in accordance with the Market Research Society’s code of conduct, our supervisor-led interviewers are adept at conducting in-home interviews with consumers. If respondents need to complete a task or test a product (as in the case of in-use product testing/IHUT -In Home Usage Testing -often simply referred to as HUT), appointments can be made for follow-up interviews in-home or over the telephone within an agreed timescale. Pen and paper (PAPI) interviewing. CAPI (Computer Assisted Personal Interviewing) using our CAPI devices and iPads. CAWI (Computer Assisted Web Interviewing) using our iPads. Sampling can be carried out in specified areas of towns and cities or on a random selection basis across specified regions of the UK. In-home interviews are particularly suited to longer interviews, in-use product testing, depth interviews and large quantitative consumer studies. Please contact us to discuss your research requirements further.